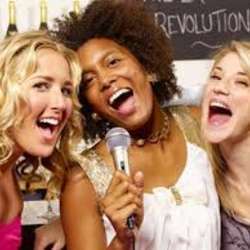 Karaoke this Saturday in Kadıkoy! This week on...Saturday...Urgent! I have to karaoke ! Can't wait! Aaaahhhh...Are you coming too? No entry fees, if you confirm your attendance by a direct message to me so that I can arrange a list of names to the venue. By doing this we are trying to avoid any unwanted misunderstandings with the bar owners and also form a unity within our group and live the internations spirit in peace. See you all there, cause I'll be there..
P.S. After the party you are free to join a live concert in Ağaç Ev with me and watch Acil Servis rock band live for free performance. check out the link!